Studies have shown that round and full figures create warm feelings to human because we associate this with babies, who are also round in their face. This is why Disney portrays positive characters with big round eyes and fluffy round bodies. Having said this, my motherly instincts do immediately vanish with the thought of baring this little guy above… but… my artistic heart beats faster. I enjoy looking at weird surrealistic pieces and find this combination of man-animal centaur idea amazing. Do be advised that the top piece of art is made by an entirely different artist than the bottom two… yes, even though they look so much a like. The reason for the resemblance: Both are from China. haha, When I always the Americans loved the fatty-ness. 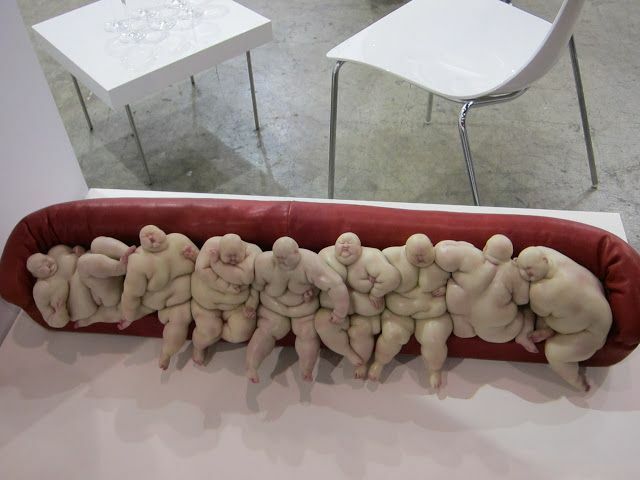 Lets just say its a Chinees Fat-Hype. 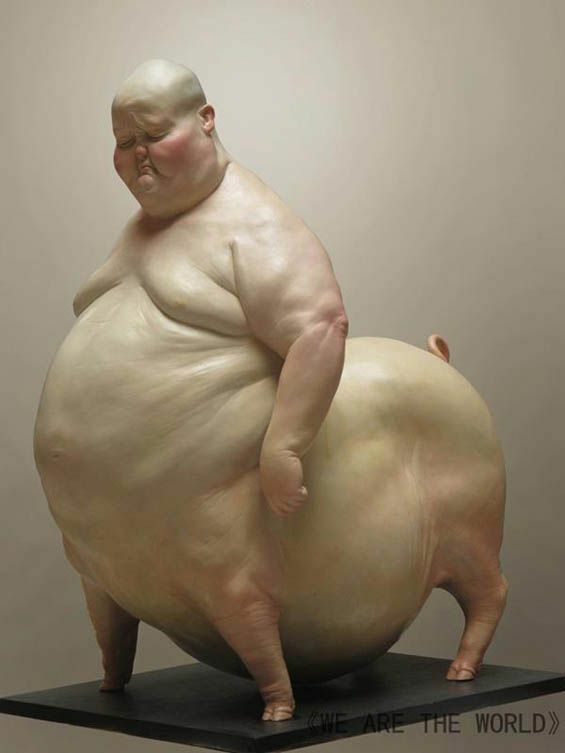 Top photo of mr. fatty centaur is made by Liu Xue in her collection “We are the World” (well I wouldn’t want to be the world if I ended up this way). The hybrid combinations of woman pig or man dog represent a theme in her collection. Author Unknown. 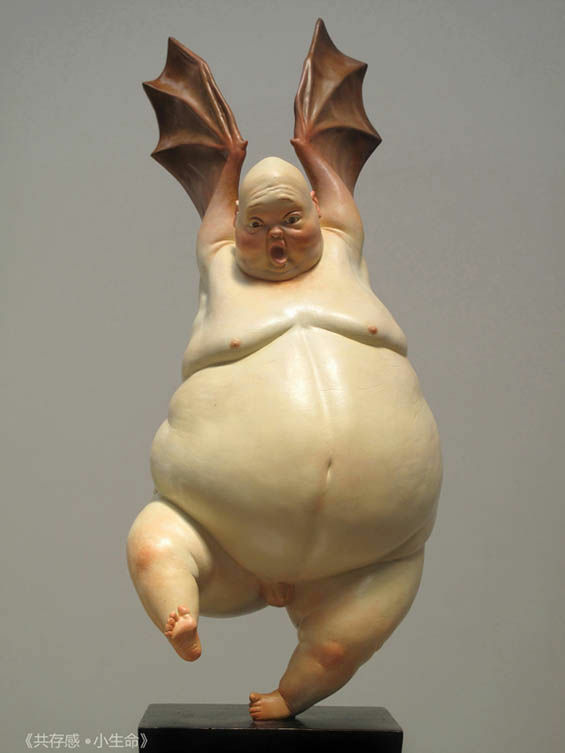 Grotesque Humanimal Sculptures, Liu Xieu . 12-17-2013. 2-6-2014. <http://www.trendhunter.com/trends/liu-xue&gt;. Author Uknown. Boyan, Mu. Artodyssey. 2-6-2014. 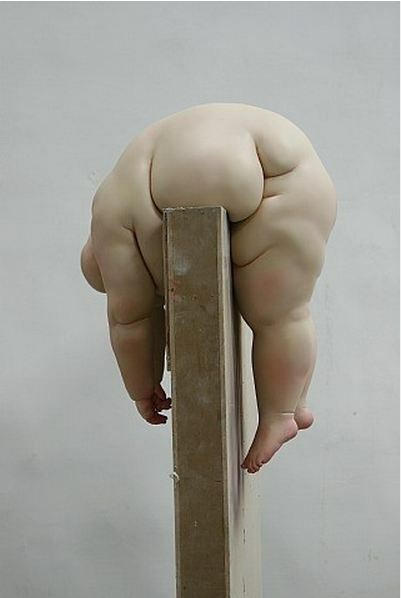 <http://artodyssey1.blogspot.nl/2013/01/mu-boyan.html&gt;.